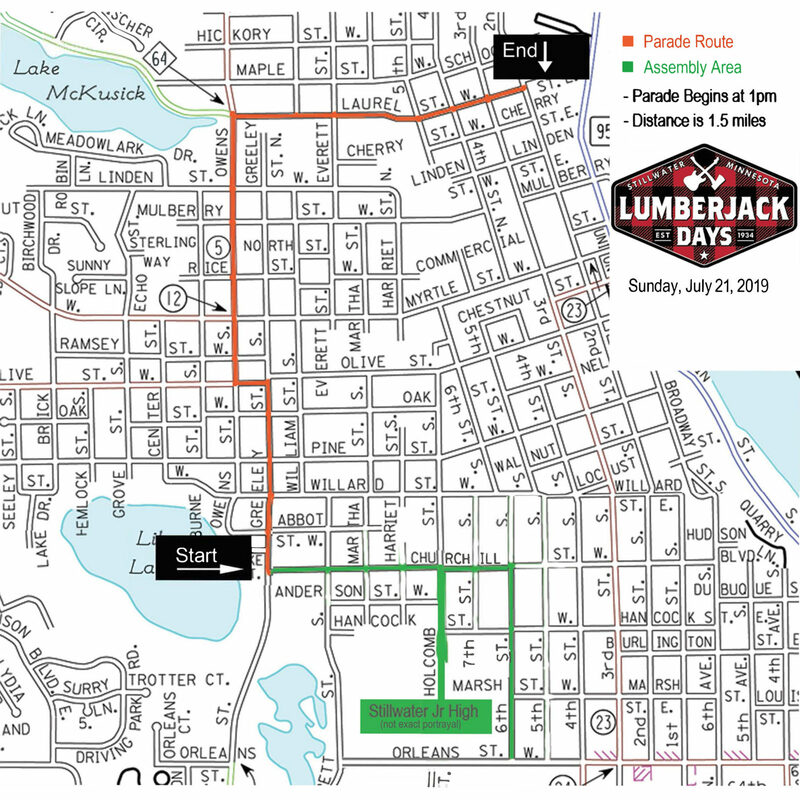 Applications for the 2019 Stillwater Lumberjack Days Parade are now open and are now being accepted until we reach our maximum of 99 units. Interest in participating in the event is keen and has been increasing every year since The Locals brought the event back to the Valley in 2014. For those considering joining us, please sign on board at your earliest convenience to reserve your spot, as we had to turn away applications in 2017 and 2018 due to space limitations and expect to do the same in 2019. We’re always looking at ways to make our event a great experience for parade viewers, entries, and workers alike. Financial help received by our citizens, both by parade entry fees and by sponsorship of the parade or greater Lumberjack Days event, allows us to sustain quality paid entries and to keep up the great pre-parade programming at Washington Square Park. Our goal remains to make Stillwater’s parade route THE place to be early Sunday afternoon, July 21st, as we contribute to the weekend’s celebration of Stillwater Lumberjack Days and our area’s illustrious heritage. If you’re interested in helping run the parade, send the Parade Director a note at parade2.thelocals@gmail.com. See you in July! Please check out the following participants sponsoring the 2019 parade! Download the 2019 Parade Application here.